Live Your Best Life! is the way we have labelled this change. On Tuesday 9 May we’ll be launching this change in direction in Broken Hill Town Square from 12:00 noon until 2:00pm. There will be a free barbecue and activities such as free health checks, information and advice on wellness and healthy living from Allied Health, Child and Family Health, Community Nursing, Palliative Care and Cancer services. Lead Ted Jnr will be there with the Lead Program and there will be Tai Chi demonstrations, as well as an interactive storybook time for children. 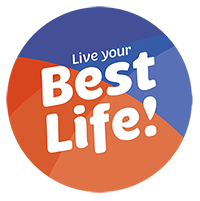 There will be similar public launches of Live Your Best Life! organised for the Far West LHD health services in the District at the following locations: Wilcannia, Menindee, White Cliffs, Ivanhoe, Tibooburra, Wentworth, Dareton and Balranald.